Similar protests are apparently due to take place in other provinces, according to the picketers. Some 200 police officers marched to parliament on Tuesday to protest at the promotion of young college graduates over their experienced counterparts. 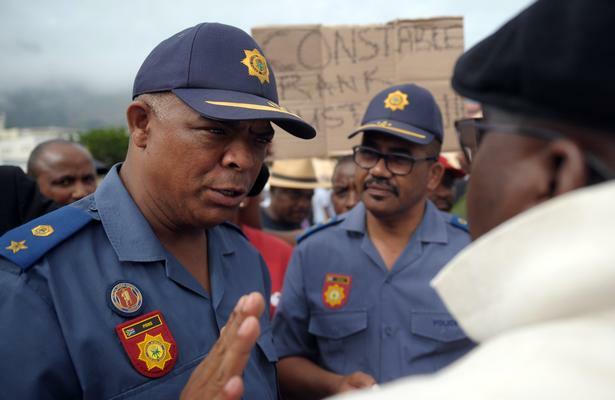 “This started when Police Minister Bheki Cele started taking people straight out of police colleagues and promoting them to guarding his home and other ministers’ homes,” said a police constable from the Wynberg area who spoke on condition of anonymity. Similar protests are due to take place in other provinces, according to those who picketed outside parliament’s gates.